Alumbung Resort Bohol is situated in a lush tropical garden setting, 5 minutes walk away from the powdery white sand beach of Alona, Panglao Island. 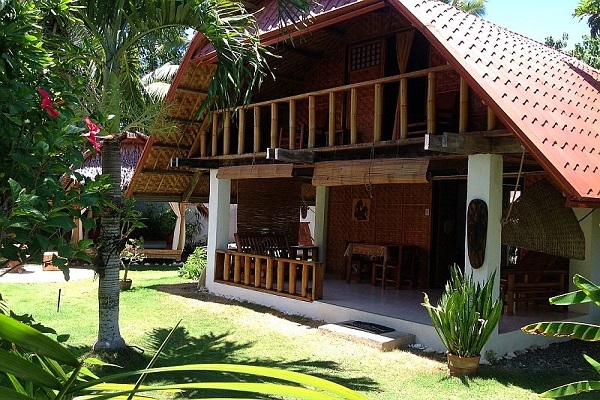 The resort offers two secluded and comfortable lumbungs (Balinese rice barns – Philippine style). The villas are fully equipped with modern facilities. The bedroom has two double beds with mosquito nets and a fan and occupies the upper floor. The fully furnished kitchen, dining, sala and bathroom occupy the ground floor. A terrace is provided with a hammock and a bamboo curtain for shade. The resort has a restaurant to cater to your meals; offers free internet access and massage services including manicure and pedicure. Alumbung Resort Bohol is quite accessible to the famous Alona Beach where you can availof more modern facilities and amenities. 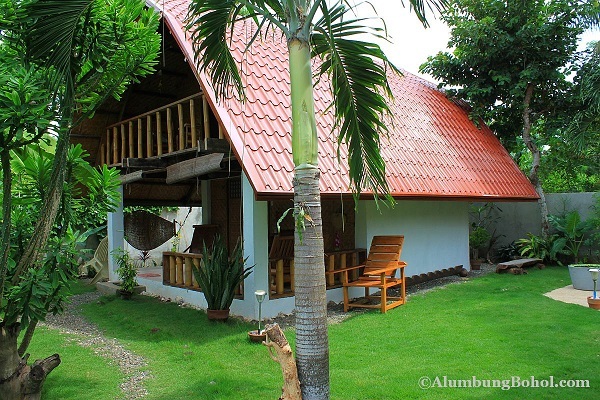 Alumbung Resort Bohol is located at Barangay Danao, Panglao Island, Bohol, Visayas, Philippines. 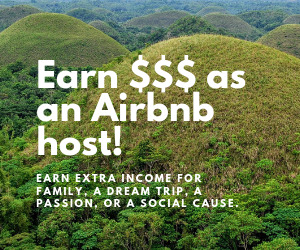 It is only 18 kilometers or 30 minutes away from Tagbilaran City, the one and only city of the province. 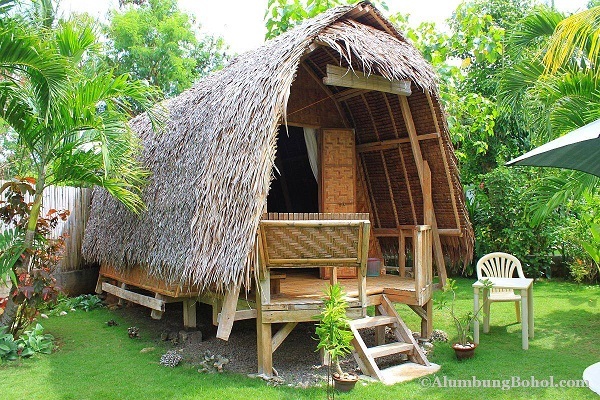 Alumbung Resort Bohol has two 60 square meters villas with a typical Balinese Lumbung structure that can comfortably accommodate 4 persons. The bedroom with two double beds, mosquito nets and a fan occupies the upper floor and the fully furnished kitchen, dining, sala and bathroom are at the ground floor. The kitchen has a refrigerator, 2-burner electric stove and all kitchen paraphernalia. The kitchen area is tiled and has cabinets with bamboo doors. 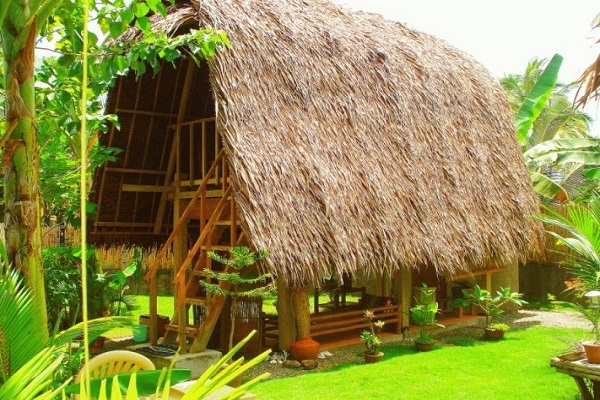 The roof of each villa is thatched using nipa leaves and the walls made of amakan. Bamboo balusters are used in the balcony and terrace. The pillars though are cemented, as well as the tiled floors. The upper portion of the villa uses mahogany wood for flooring. 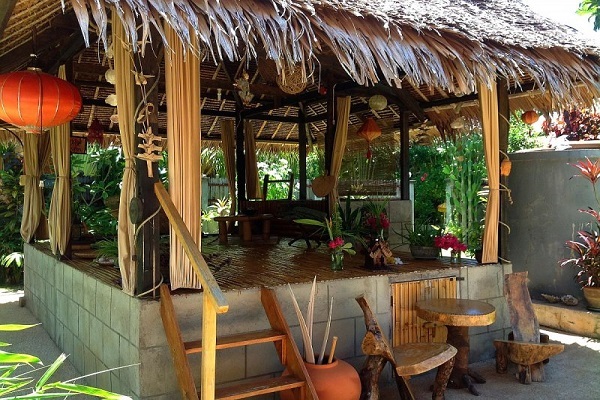 Each villa is provided with tables, chairs, beds, sofa and center table, all made of bamboo. 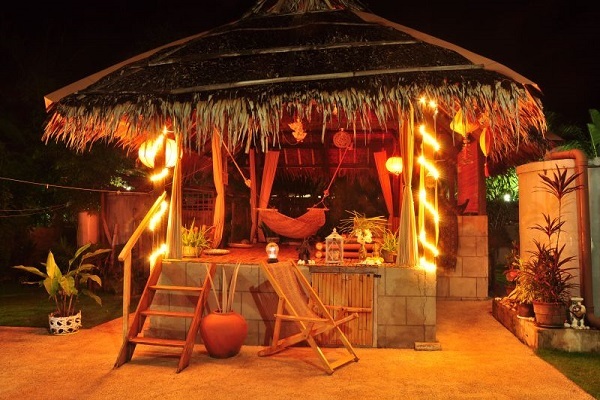 A bamboo curtain is provided to give shade and a hammock can be found at the terrace area. The garden outside the villas is landscaped using white stones and pebbles with palm and banana trees, Bermuda grass and other tropical plants. Alumbung Resort Bohol is a perfect place for a family vacation, for honeymooners or for other people who wants peace and quiet while enjoying the sand, sea and sun. Alona Beach, where you can avail of more livelier activities and facilities, is only a few minutes walk away. It is the best jump-off place to other beautiful spots of Bohol, either island-hopping or mainland sightseeing. Avail of what the resort has to offer. 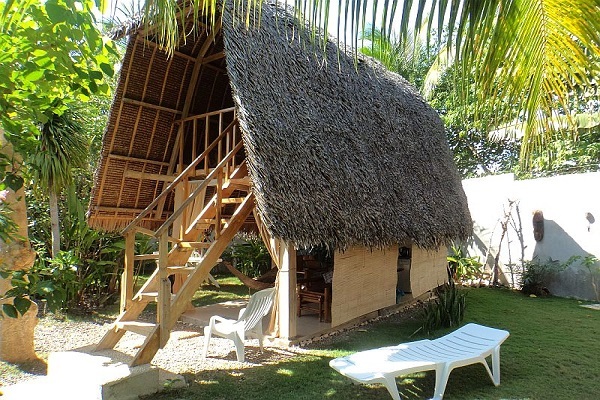 Though small, it has the facilities to make your stay comfortable, fun and secluded . . . far from the madding crowd. Try this tropical paradise of powdery white sand, unpolluted crystal blue waters, and tranquil surroundings.